Precious opal is October’s traditional birthstone. It’s one of my favorite stones, at least to admire if not to work with. Opal is similar to the feldspars in that it has the addictive quality of each gem being different. Boulder opals, trails and pools of opal still in their matrix stone, have a wonderful narrative feel. Like gazing at clouds they have shapes and stories and weather in them. Their chemical composition is hydrous silicon dioxide. 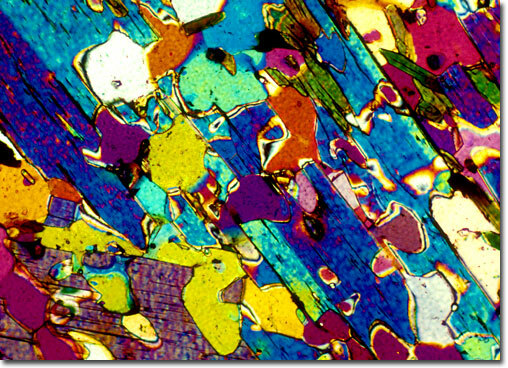 The stunning colors come from the fact that opal is composed of tiny spheres layered in essentially a silica jelly. The light passing through and refracting off of them is what gives them that fire. How even the spheres and how close together changes the intensity and color. Opals are between 3% and 30% water. The color can diminish if the opal loses some of its water through heat or cracking. Keeping them in or near slightly moistened cotton wool can prevent drying out over time. 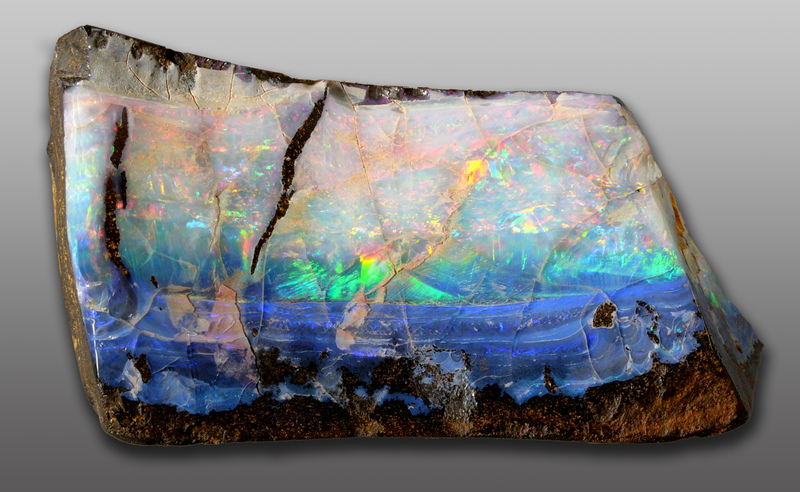 Sometimes the play of light in old opals can be partially resuscitated with oil or epoxy resin. Some attribute the stories about opal being a cursed gem to the fact that special care needs to be taken when working with it. It’s a soft stone, so sensitive to knocks as well as to heat, acids and alkalis. The same is true of wearing them. They’re stunning and not particularly high maintenance, but rings especially are susceptible to being knocked about and dried with or abraded by harsh soaps. So part of the bad luck bad rap may be also be that heirloom quality rings don’t seem to last as long as other gems unless they’re well taken care of over the years!